Aldecar Lane Fishery is a fairly new fishing venue located near Aldecar in the heart of Nottinghamshire. People local to the area may know the owner, Pete “Thecko” Thexton who ran Mill Tackle in Langley Mill. This is an ideal place to bring a young angler or beginner. 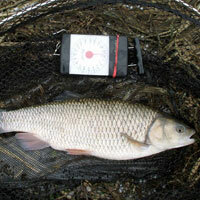 You can catch fish on a wide range of methods all year round. There are 4 lakes in total, The Folly, The Railway, The Acorn and The Snipe. Address: Aldercar Lane, Aldercar, Nottinghamshire, NG16 4HJ.